Our Kama'aina-owned company can return your home or business to pristine condition after any kind of damage. Oahu’s rich historical culture also means that the island is home to many old buildings, facilities, and dwellings that have faulty plumbing and electrical systems. Combined with a tropical climate prone to heavy rainfalls and occasional hurricanes, you have a recipe for damage caused by flooding, mold, fire, and wind—all of which can result in costly repairs and loss of value to your property. Owned and operated by local Kama’aina, Premier Restoration Hawaii is one of Hawaii’s oldest, largest, and most respected Honolulu restoration and reconstruction companies. Our 100+ employees are located on both Oahu and Maui, and they are the best in the business at fixing damage resulting from water, fire, mold, and wind. Our award-winning Honolulu restoration company has earned 15 certifications from the Institute of Inspection, Cleaning, and Restoration Certification (IICRC)—covering everything from fire damage restoration and smoke damage restoration to health and safety. With an industry-leading on-site response time of 24 hours or less, you’ll never have to wait long for help from your local professionals. At Premier Restoration Hawaii, we’ve been the first choice for Honolulu water damage and restoration for over 15 years. With services that cover everything from mold removal to clean-up from storm damage, we’ve built our reputation on providing the highest level service and care in the industry. 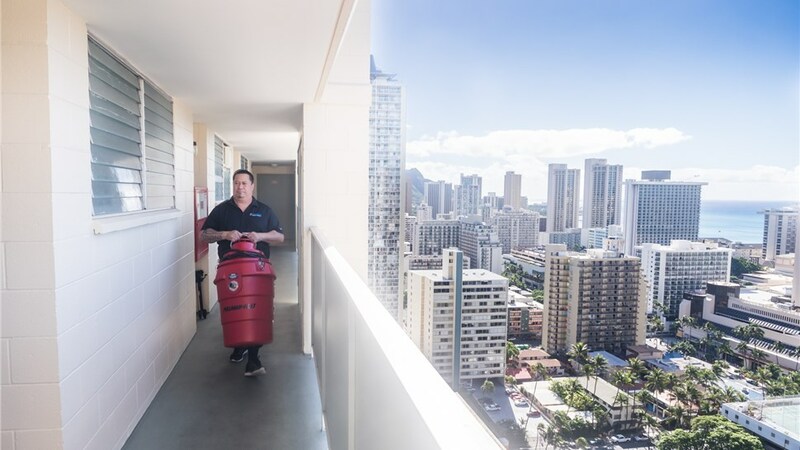 Honolulu Mold Removal: If you’re in need of mold abatement and treatment services in Honolulu, there’s no better choice than Premier Restoration Hawaii. 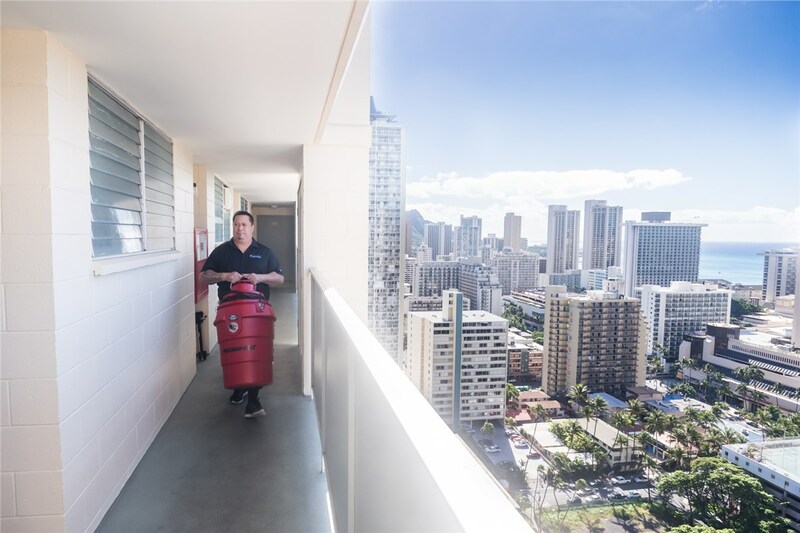 Honolulu Water Damage Restoration: When storms and high winds bring moisture into your home, our experienced crews can resolve the issue professionally and efficiently. Honolulu Storm & Wind Damage Restoration: Hawaii’s tropical climate means the potential for strong storms, and our expert team can help you repair any damage to your property. Honolulu Asbestos Abatement: Premier Restoration Hawaii offers our customers a true “one-stop-shop” experience with our expert team of asbestos abatement professionals. 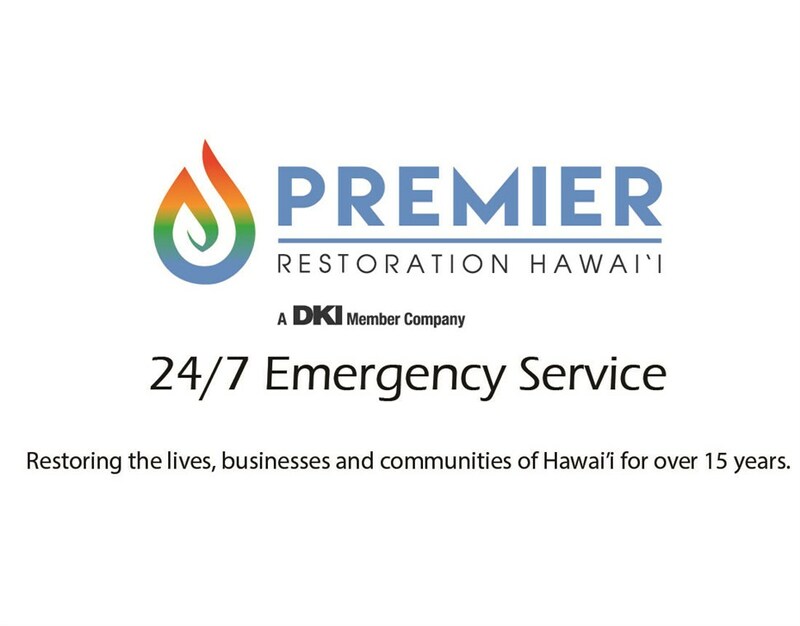 Honolulu 24/7 Emergency Response: Day or night, our Honolulu restoration team will be at your side to provide quality, professional service when you need it most. Honolulu Flood Damage Restoration: When the unthinkable happens, leave it to the experienced crew at Premier Restoration Hawaii to dry your flooded home. Honolulu Fire Damage Restoration: When something as devastating as a fire hits your home, you can’t afford to spend precious minutes waiting on a slow fire damage company in Honolulu. Honolulu Wind Damage Restoration: Let us help you deal with the damage caused by heavy winds generated by natural disasters such as hurricanes, torrential rains, tsunamis, and tropical storms. Living in the land of paradise has countless benefits, but if your home has been affected by storm damage, water damage, or mold, Premier Restoration Hawaii is the company you can count on for affordable mold removal in Honolulu. To learn more about the exceptional service and value we offer to residents throughout Hawaii, just give us a call today. You can also fill out our online form to get in touch with our 24/7 emergency response team.